Want some more style or excitement in your eating or drinking area?. 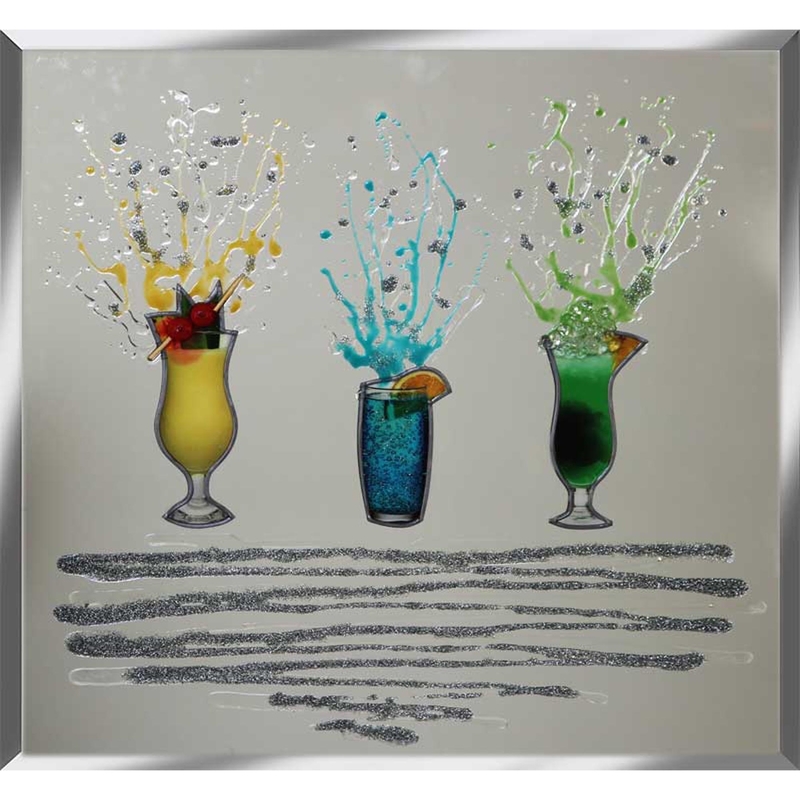 The Trio Coloured Cocktails design on mirror was hand made and designed in the UK, comes in custom sizes and brackets attached, then completed with a classic mirrored frame. The perfect design to add simple style while not being over the top or too much of a statement.